If you are struggling with tax debt, and need to set up a payment plan with the IRS to pay off your debt, you need the experienced team at Top Tax Defenders on your side. Top Tax Defenders has 27 years of experience dealing with the IRS, and knows how to get you set up with an installment plan that you can afford. 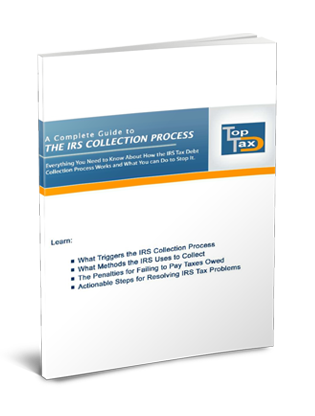 Everything you need to know about the IRS collection process.